What Are the Rental Laws in Ecuador? Update (July 28, 2014): It seems that the site below is requiring a text payment/ registration for downloading the pdf of the rental laws. While the links are working, you’ll have to page through them on the site links below. For expats, renting a house or an apartment has its advantages. A renter does not have to worry about making repairs or paying for expenses such as insurance, property taxes, maintenance, etc. A renter has the freedom to move should the neighborhood change or if undesirable neighbors move in next door. For many expats, renting is the way to go. However, there are some unpleasant disadvantages to renting. One problem that renters may encounter, especially expat renters, is the tendency that some landlords have of unjustly inflating the rent. Then the landlord dropped a bomb on us. There would be a rather large increase in the rent. The new monthly rental price would increase from $260.00 to $350.00 per month (a 35% increase in the rent). I explained to the landlord that we live on a fixed income and that we could not afford such a steep increase. Keep in mind that the owners of that house had done nothing to improve the appearance or condition of the property during the year we lived there. In fact, we had made several repairs/improvements to the house at our own expense. Also, we had always paid our rent on time and had never caused the owners any trouble. Taking into consideration these facts, I asked the landlord how he could justify such a large increase in the rent. His blatant response: “We want more money”. Realizing that this particular landlord was only interested in sucking more money out of “rich, gullible gringos”, we decided to move and quickly found a newer, larger (and less expensive) house in a nice neighborhood. Our bad experience with the greedy landlord caused us quite a bit of anxiety and prompted us to look into the rental laws in Ecuador. What we learned was very interesting. Although many landlords only offer a one year contract, under the law a renter has the right to ask for a two year rental contract should he so desire. During the contract period the land lord cannot raise the rent. If the landlord attempts to raise the rent, the renter can appeal to the Juez de Inquilinato (the rental court judge) and the landlord will subject to a fine. The rental contract should be notarized. If a contract is not properly notarized, the landlord cannot take any legal action against a renter. The only way a landlord can sue to have a renter removed from the property is to present to the court a notarized rental contract along with proof that the rental property has been registered with the municipality. A landlord has to give the renter at least 3 months notice before terminating a contract. The renter has to give the landlord a one month notice before breaking the contract. In the case of early termination, a landlord may try to force a tenant to pay for the remaining months left on the contract, but the rental law does not obligate a renter to pay an early termination fee. The municipality sets the maximum rent that a landlord can charge. The rent is based on a formula that takes into consideration the value and condition of the property. In order to raise the rent, the landlord has to submit a petition to the judge that has jurisdiction over rentals. The landlord has to justify before the court his reasons for asking for an increase in rent. A landlord cannot just raise the rent because he wants more money. Although many landlords attempt to implement a yearly rent increase, the rental law does not permit automatic yearly increases. As the above examples show, the rental laws in Ecuador are designed to protect renters from abuses. 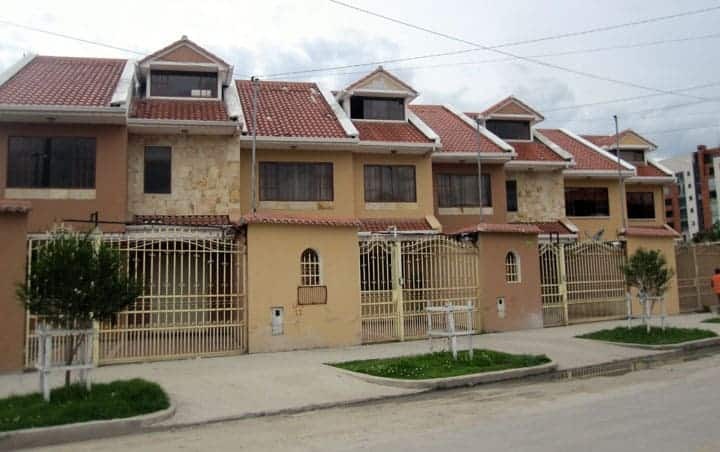 We have rented 6 houses since living in Ecuador and are pleased to say that, with the exception of the previously mentioned owner who tried to raise our rent by $90.00, all of our land lords have treated us fairly and we have no complaints. Still, it is good to be familiar with the rental laws when entering into contracts and renting a house in Ecuador. Knowing that the law is on our side, gives renters like us a sense of peace and reduces the feeling of helplessness in the event of an abusive landlord. One owner has a renter on property without a notarized and legal contract. Lawyer is trying to say a verbal agreement is all that is needed. How does this affect other co-owner? The renter broke our Concesión Mercantil Contract. We went to Mediación and agreed on new terms for 5 year Contract with monthly fees of $5,000. After 6 months payments stopped arriving That wad 7 months ago Renter owes 7 months at $5,000 =$35,000 . I tacked on late penalty fee as I tripla- emphasized my financial monthly obligations to four different University programs. Where can I register a rental property in Cuenca? I rented a large, modern, furnished home in Cotacachi a year ago. To the best of my recollection, I did not sign a lease. The landlord now tells me that I signed it but it was lost in the computer system. I paid $1000/month and $1000 security. I have a housekeeper and attendant for my husband who is a stroke patient. I have someone working 8 hrs. a day, 7 days a week. The house was very well kept. Because the house is too expensive, I ended my lease after a year. My landlord kept $877 of my deposit claiming the bedroom floor needed to be resurfaced and the house needed to be repainted. She also said there were several things missing such as towels, blankets, and dishes. I asked for a facture for everything. This seems very unfair considering the landlord does not have a signed copy of the lease. What can I do? Sorry to hear how this rental went for you. Any recourse can be difficult without a lease. Do you have receipts showing your monthly payments? It is my understanding that each rental requires a contract that is notarized. Your landlord might treat you differently if you suggest that you’ll share that information with the corresponding government ministry. Also, it’s unlikely that your landlord claimed that income – given that there was no lease (under the table). SRI might be interested to know this. Before you speak with your landlord, it would be worth getting the opinion of a lawyer familiar with real estate. I rented a nice house on turi owned by the artist Vega. Not very kind. Changed my contract after I moved in. I accepted but with caution. His wife said I used too much water…and would not let me use the jaccuzzi anymore…only used it 3 times in 3 months. I was one person. When I cleaned the tub black mold came from the water port when I went to rinse and clean. Vega refused to give me my deposit of $2,000.00. hahahahah…him and his wife were fooling with the wrong gringo. I told them I would send the photos and the 2 copies of the rental agreement to the newspaper and write the article to go with it….got the money back. All of it from their attorney in Quito. It was a beautiful home to live in. Great views and nice people, but Kennedy and Vega are lacking in ethics and integrity as most landlords. Rented another place for $1,000 and had problems with that landlord after I was robbed. Got that deposit back also after I threatened to put an article in the newspaper…believe me, you can do it and the paper will appreciate it. I do not trust any Ecuadorian. Get everything in writing and follow the laws and you will have no problem collecting when you leave. Stay away from Ceibos Alto Condos in Los Ceibos, GYE. Savvy piece ! I was enlightened by the info , Does someone know where my assistant could possibly locate a template CO Form Letter for Proof of Residency example to fill out ? was told by Island Estates, in Email.Termites will be listed in inventory. Out $800 deposit. Who can we contact as Island Estates say’s money is with owner in New York. Very happy to come across this post. I have a contract that has been notarized. It says if i leave early i forfeit the two months deposit, and possibly incur a penalty of two more months on top of that… the language is vague. The problem is the contract is completely in favor of the landlord. It doesn’t say what happens if they don’t honor their side. In the 8 months I have been there, many things have broken. It says explicitly that I have use of communal areas with washing machine, dryer, sauna etc, but these have all been closed for the last few months. Does this mean, since I am not getting the services I have paid for, I can leave early. The landlady is completely unreasonable, and after so many incidents, I just want to leave, without hopefully losing my deposit, and/or incurring penalties (four months seems excessive) since It has been notarized, not sure what rights I have. Would really appreciate some advice. Wow! What an amazing place to become Ecuadorian informed. I have a question for you Bryan,if you don’t mind. It’s actually two fold. My husband and I, along with our 5 children are looking to relocate to Ecuador for the long haul. Our children are ages 6-16. I am very curious about something. I often read about “gringos” abroad, and while I am very well aware that it’s simple non-offensive terminology, I would like to know if you are familiar with the climate of “negros”abroad in Ecuador. We are of African descent,from the Bahamas, although a few of the kids were horn in the USA. I am just wondering if you have any input in regard to any possible challenges with renting or even living that we run into. I know that there is a large Afro Ecuadorian community, however we are looking to live in Southern Ecuador area and just wanted some confirmation on the smoothness of the transition. Thank you so much. Your sight is insightful, informative and greatly appreciated. I can not begin to express to you the excitement we share as a unit, as we plan for this wonderful life adventure. Many blessings to you and your family for all the wisdom you garnish the rest of our life’s with. The ‘ley de inquilinato” is easily downloadable in PDF format. Obviously the person who suggested they want money is not able to read Spanish!! All that is asked is to send a SMS to “7722” with the message “code” they send the code in less than 30 seconds to enter, then you can download the whole document of laws and rules. I sure get tired of gringos that assume things because they cannot read or speak Spanish. Wheww!!! Do you know of any non conventional rentals such as warehouse space that can be used as a live work environment? Much like is occurring here in Toronto with the artist community. Also, do flats in the center of the city tend to be larger or smaller in the older buildings? Any luck in finding alternative spaces. High ceilings, 2000 sq ft. Converted warehouse or light manufacturing with kitchen and bath? Loft. Prefer building with multiple units with artists, photographers, live work space. Do such spaces exist? Where should I look? So what is the nicer part of Cuenca? If one does not live in El Centro, which areas are convenient to walking there? Where are the restaurants and places of interest? Brian, I cannot download the rental laws. They are asking for some kind of code. Also, is there a better translator than Google? I can only get it to translate the first page. Do you know where I can go to see if the lease was registered and notarized? She never gave me a copy and not knowing it should have been, I did not inquire. Thanks for letting us know. I don’t know why they are requiring this now – it looks like there will be a charge via the text message for downloading the laws. The other option is to page through what is displayed. Google Translate is the best option that I’ve seen for online translation. It would be a good idea to contact your landlady and get a copy of your contract. Hi Bryan, reading that you have moved quite a lot. This raised a question for me. What does it cost to hire movers in Cuenca and did you find them to be reliable? How did you manage recoupment on breakage? Could you get a flat rate or will the movers only charge by the other? The first few years we did… We just hired a truck and friends helped. I haven’t heard of a moving company in Cuenca – at least not with breakage coverage. It is more informal – and much less expensive as a result. Good article on tenant rights in Ecuador! I’m a home-owner in the Chimborazo province and was recently notified that a tenant can take over your property…any truth to this? I’ve heard about squatters being able to take over “abandoned” land here in Ecuador – but I don’t know the rules. I haven’t heard about tenants taking over a building before. Thanks for your fabulous article – it just changed my life. We are in Quito with a landlord that has fire hazards (confirmed by an electrician) and other problems with the apartment. I offered and she accepted to discount the rent by $50 if I paid six months all at once in advance. She does not respond to phone calls or emails. When she does she makes an appointment and doesn’t show up or call to cancel. I paid one month security deposit for a 6 month lease. I am now after reading your article just thinking of staying here an extra month and not paying for it. And you’re saying the police can’t come and throw us out, and that the contract, neither registered or notarized, is not even valid. Am I correct? Is this a bad idea? And finally if you know anyone in Salinas who works getting people rentals please give me their contact information. Many thanks! I have rented for what will be a year in September with one year remaining. My Landlady has not given me a Factura, I don’t know if the lease has been registered and if not and I request a copy showing the registration, can she then have it registered? I pay 460.00 per month for a place I do not like but can tolerate. She said 60.00 of the 460.00 lease agreement is for water, electric and internet. Is she supposed to give me a copy of the paid receipt for these services? As it stands, I have no proof of payment of anything and I was very naive and trusting but now am suspicious. Can she have the utilities in my name and use my Cedula and Passport number without my consent? From what I have learned, on not so easy an experience :), even if you have a valid contract, you have to give your landlady only a month notice. If you do not have a valid contract, i.e. a registered one, you have absolutely no obligations and can move any time. So, when you find the apartment you like, just give her a month notice and do not pay rent, if she has your deposit. As for $60 for utilities, etc, here is what I pay: Electricity $10-$12, water – $8- $10, g$4-$4.50, land line phone – $3-4, Cable Internet – $24. Good luck! I had to put up a two month deposit in the amount of 920.00 of which she used to buy a washer and dryer. Can’t afford to give up that kind of money as I am not a rich Gringa. I am 71, so 1/2 for water and electric, free land line phone and internet, I don’t know if there is a discount for that or not. I do have an appointment with an attorney Tuesday and I really appreciate your reply. Again from my own experience, do NOT use an attorney. You will spend your time, shutter your nervous system, but your attorney will do nothing, in the best case, or will side with your landlord, in the worse case. I can foresee the worst too. And, in fact, the attorney will have nothing to go by, as you have no contract and no receipts. So it is your word against your landlord’s word. Even all of concerned speak English, you are not likely to win. Anyway, what is it that you want at the moment? To break a contract? To have your rent reduced? Do you know it? Have you tried to discuss it with your landlord, quietly and peacefully, promising her to find another Gringo tenant? Do you have a receipt, at least for your deposit? Is your apartment furnished or unfurnished? What is it that you do not like about it? I would really like to know where the above comment came from. I just cannot imagine that being the case. Judy, if you are referring to putting value in lawyers in Ecuador, the statement is mostly true. I was fortunate to have an excellent lawyer for immigration. But, bad lawyers are the norm in this country. There are many more negative experiences with Ecuadorian lawyers than good experiences. go to US Embasy and they have a list of lawyers you can choose from. Bad lawyers are the rule in the USA also. They just charge a lot more. I the US you may be asked for a $3000-$5000 retainer up front. Then they forget they know you. If they do anything, they go to the sports bar and swap cases. Sell you out in a hearbeat. I have had good luck with lawyers here in Ecuador They will work hard for a small fee. Anyway, I read, in Gringo Post/tree that you had an appointment with an attorney. Even though you have not explained what you really want (receipts? lower rent? move out? ), I wish you great luck, in every endeavor. I live in Quito and my husband and I signed a one year contract. However, our water heater broke and the landlord is saying we need to fix it ourselves. We also have neighbors who bought six dogs and who bark all night long. Am I also pregnant and these same neighbors (with the dogs) have a truck that they turn on before the man goes to work and releases all the toxic fumes that enter our house every single morning. How can we terminate this contract early? I’m not an expert, but I think the law allows for you to cancel with 30 days notice. You might want to check with a lawyer but this is how I understand the law. If you read/understand Spanish you can check the link in the post and see what the law says. I hope I’m not adding info in ignorance, but I believe that if the contract was not notarized and registered it’s not really valid. Bryan’s thought of checking with a lawyer is probably the best thing to do and it should be inexpensive to get 30 minutes of consultation. According to a couple of attorneys and other Ecuadorians, this is true for the case when there is a valid contract, i.e. the contract properly notarized and registered. have to provide water, elect , gas service.. Just move out. Take pictures of broken tank. Take the doors off and windows if she dont return deposit. Or stay free a extra month because she dont give you deposit back. Takes 3 months rental loss for owner to use arbitration. I am american and rent out apartments. But not no more. Just a heads up. New Ley de Inquilinato is up for a vote (approval) with this next National Assembly. In Cotacachi the office for registering leases and rental agreements was never staffed in the first place so there is a free for all for now. It is true though that a tenant will usually win against a landlord just by mentioning court (there’s a tenant court in Ibarra). If the government does update rental law And structure some type of easy access enforcment system – this could bust some bubbles. For example, furnished subleases, according to present law can only be “rented out” for no more than a specific percentage above the value of the apartment which is determined by a formula of percentages of the value of the building but since it seems theres no one complaining everyone thinks it’s ok to be absentee landlord/middlemen. There is complaining but not so much in English as in Spanish and Kichwa. Expect change. There are a couple of ways expats handle housing in Ecuador. Buy, rent upscale or rent normal. Generally speaking, if you buy you are stuck – and you probably won’t move very often. If you rent upscale you likely won’t have any trouble or need to move. But if you rent normal, there are issues that will come up. We have had to move a few times – once because the house began to fall down (it was on the edge of a hill and vertical floor-to-ceiling cracks appeared on all three floors – even the tile buckled and lifted, and the concrete deck separated from the building as it began to slide down the hill). Doug (the author) had to move a few times – for a few different reasons. He is actually in a nice house and they have been there a couple of years now. Housing is different here than what many people are used to. And from my experience, most expats move once or even a few times as they get used to what they want/need – and then they settle in a place/sector that they are happy in. Dennis, I would never pay anyone in Ecuador 4-5 years of rent in advance no matter what deal they would offer…of course you have your own agenda and seem to be very clear on that. We’ve moved a few times…and some times it’s necessary. One of our moves was to leave a dishonest landlord. And the laws won’t protect you for the most part unless you have connections, a lot of time and an enormous amount of patience. Nothing is cut and dry here. I did a similar deal in Barcelona for a pretty deep discount, but I understand that Cuenca is probably not like Barcelona. Many thanks for the additional. Hi to all, Is there any way to identify the various areas in Ecuador as to which neighborhoods are desirable and which are less so? I understand in all large cities it is at times a crap shoot but trying to identify areas on the internet seems impossible. Too bad there is not some sort of universal grading system to short circuit some of the run around and other problems with trying to rent for a longer period of time. A house 2 bdrm or nice condo at a reasonable price say 600.00 or 700.00 a month. Any suggestions????? Your price range is on the high end – you could afford to hire a gringo agent to rent you an overpriced place at that price :). From what we hear, many expats pay between $250-500 for very nice houses or apartments. You can find new places for under $200 just outside of the city. alot of different cultures live near the Carolina Park Area. This is the international zone. Different languages including english, spanish, french, etc. Good apts, good restaurants, coffee shops, banks, malls, movie theaters. What else would u want. Just found your post on a google search. Hi Gary, from what I understand, you are required to give 30 days notice if you are going to break the contract at which point you are entitled to a return of your damage deposit (if everything is in order). The landlord however must give you 3 months if the contract will be broken. As long as the apartment is in good shape and you are paid up-to-date, I don’t think there is anything negative about leaving. You should confirm with a lawyer first. Great info. I’ve been researching Ecuador because I’m considering making a move. All of your information given was really helpful… Thanks. p.s I’m also from Georgia. Thanks for the post about rental laws. But, say, in your case, the law was broken. What would you have done differently, if you knew about the law, when your landlord asked for “more money”? Looks like it all worked out for the best for your family. And now you have a bigger and less expensive, than the prev. $260/mo house. Could you, please, tell what you have now, in what area, and how you found it. Have been in Cuenca for 1.5 years. Am not my second landlord, who, clearly, does not abide by rental laws. Have no desire to deal with legalities. Want just to move, hopefully in the place where I could stay for a long hawl. Also wonder what your finder’s fees are. We would be glad to work with you. Just contact us via our contact page above and we can discuss your needs. From this, I don’t see the value for the renter. Notarizing seems to totally favour the landlord. I might be wrong, but I think the point is that most landlords don’t register / notarize contracts. Which means they they actually don’t have any rights. They aren’t even legally allowed to be landlords without a notarized contract. This gives the favor to the renter. Great write-up! I’ll keep the article, and you guys, in mind when I move to Cuenca. VERY helpful and much appreciated!! Thanks for sharing your experience and knowledge saving the rest of us the trouble. Your awesome!!! THANKS!! Thanks for sharing this information. Very generous of you. Other than our renting experience in Racar, we’ve had good rental experiences in Cuenca. Now we find ourselves in what seems to be a nicer part of Cuenca. Renting gives you the opportunity to get a feel for Cuenca and allows you to figure out where you want to live. Previous: Why Buy International Travel Insurance?